I am continually surprised – in a good way – by contacts reaching out to me on LinkedIn. As a woman business leader and entrepreneur, LinkedIn is my professional “comfort zone.” Of all the social media platforms, LinkedIn gives you the ability to control and even manipulate your message. It is a “living brochure” for your personal brand. Satisfied customers are the best source of new customers. LinkedIn makes it easy for you to find vendors through the network of your peers. Search LinkedIn’s Groups directory to find industry associations and networks to take part in. LinkedIn Answers and Groups let you find answers to vexing questions quickly by tapping into the wisdom of your network. Use the many forums on LinkedIn to share the knowledge you’ve gained in your area of expertise. 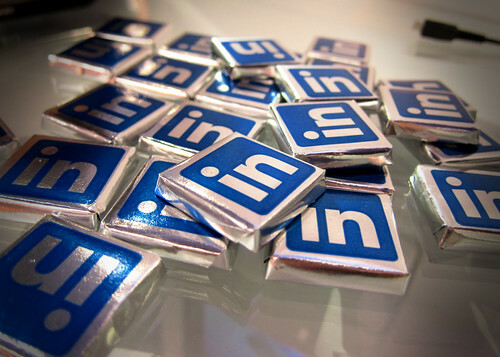 You can use LinkedIn to find mentors or potential investors for your startup. With over 2000 groups dedicated to small business topics, you’re sure to find a relevant group to network. Small businesses smart enough to create unique content on their expertise should link to it from their LinkedIn profiles. Not only do company profiles give you unique insight into your competition, they also give you an opportunity to stumble upon potential hires. You hear a lot of “buzz” about other social media platforms, but I think it’s time LinkedIn got a little more respect. How have you used LinkedIn to grow your business connections? This entry was posted on Friday, November 11th, 2011 at 12:16 pm	and is filed under Advertising, Branding, Leadership, Marketing, Social Media. You can follow any responses to this entry through the RSS 2.0 feed. You can leave a response, or trackback from your own site.